What’s the Difference between the AP Calculus AB and BC tests? The AP Calculus exam comes in two versions: AB and BC. Generally speaking, the BC test is more comprehensive than the AB. Many colleges and universities award credits for high scores on AP exams, sometimes up to a full year of calculus. In this article, I’ll explain the differences in the AP Calculus exams so that you have a better idea which one is right for you. The material on the AB exam is the equivalent of a little more than a single semester of calculus at the college level. If you score a 4 or 5 on the exam, then most colleges and universities will offer 4-5 credits of calculus (single semester). However, schools differ in their AP policies though, so always check out that information before applying. Here is an outline of was is covered on the AP Calculus AB exam. Graphing and interpreting graphs (pre-calculus). Limits and continuity. Finding limits algebraically or estimating them from numerical or graphical data. Continuity in terms of limits. Intermediate Value Theorem and Extreme Value Theorem. Vertical, horizontal, and oblique asymptotes. Limits involving infinity. Limit definition of the derivative and its relationship to continuity. Derivative rules including the Power Rule, Product Rule, Quotient Rule, and Chain Rule. Instantaneous and average rates of change. Relationship among position, velocity, and acceleration functions. Analysis of Graphs based on both pre-calculus methods and derivative information. This includes finding intervals of increase/decrease, relative minima/maxima, intervals of concavity, and inflection points. Mean value theorem and Rolle’s Theorem. Applications of derivatives, including optimization and related rates. Elementary differential equations and slope fields. Techniques of antidifferentiation, including power rule, algebraic manipulation, and substitution. Finite Riemann sums and their limits. Relationship to definite integrals. The Fundamental Theorem of Calculus and definite integrals. Trapezoid Rule and other methods for estimating area. Exact area below a curve or between two curves, using definite integrals. Volumes of solids of revolution, by washer method and shell method. Relationships between position, velocity, and acceleration using integrals. Average value of a function over an interval. Models for exponential growth and decay. What’s on The AP Calculus BC exam? The AP Calculus BC exam covers the same topics as the AB exam as well as the following. Derivatives of vector-valued functions, parametric functions, and functions expressed in polar coordinates. Analysis of polar graphs using derivatives. Velocity, speed, and acceleration for vector-valued or parametric functions. Integration by parts and the method of partial fractions. Displacement, distance, and position of a particle moving according to a vector-valued or parametric function. Areas bounded by polar curves. Length of a parametric curve. Sequences and Series — covergence and divergence. Common series such as the p-series, geometric series, and harmonic series. Taylor series and power series. Radius and interval of convergence. More detailed descriptions of the topics covered on both the AB and BC test can be found here. Obviously, the BC test covers more material. However, if you are prepared for it, then it may be the way to go, especially because you also get an AB subscore. If you can score highly on the BC exam, then you may receive credit for up to a full year of calculus! On the other hand, many high school AP Calculus courses do not cover all of the material on the BC exam. 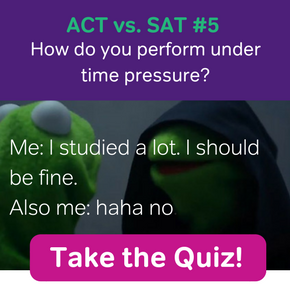 If that’s the case, then taking the AB exam would be the best option. With a good score, you may earn one semester of college credit in calculus. Some schools even award credit for lower level math courses such as algebra or pre-calculus, if you score at least a 3 on the AP exam (AB or BC). Ultimately the decision is yours to make. 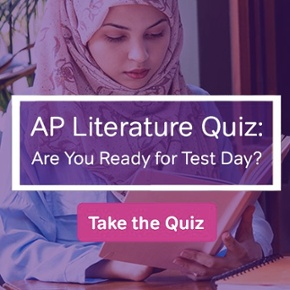 Take the test you feel best prepared for. With plenty of hard work, you can earn college credit and be well on your way towards a degree before stepping foot on campus! What Topics are on the AP Calculus AB Exam? What Topics are on the AP Calculus BC Exam? 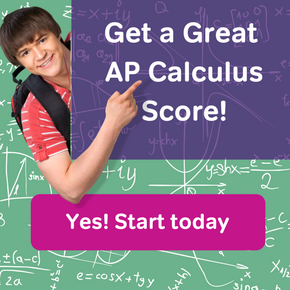 What is a Good AP Calculus Exam Score? How Many College Credits will AP Calculus Give You?